I got this idea from a project I’d seen made by Tim Holtz. Of course, I had to find a cheaper way to make it. 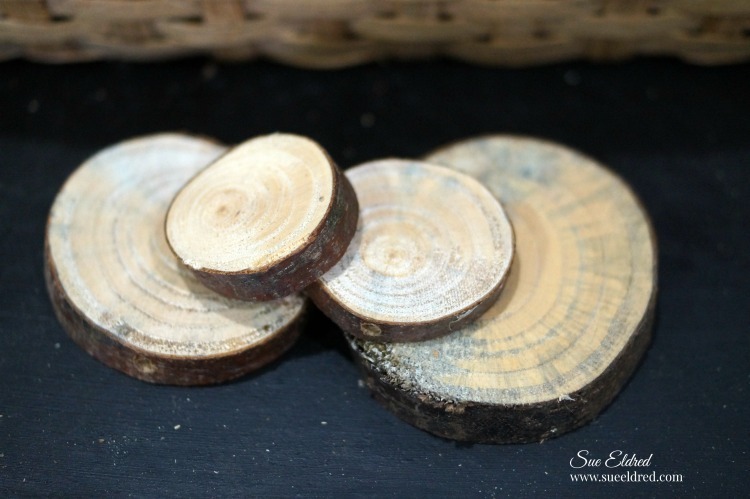 I picked up small bleached trees at Michael’s. After the tree was dry I rubbed Ranger Stickles Glitter Glue, Diamond* on the tree. 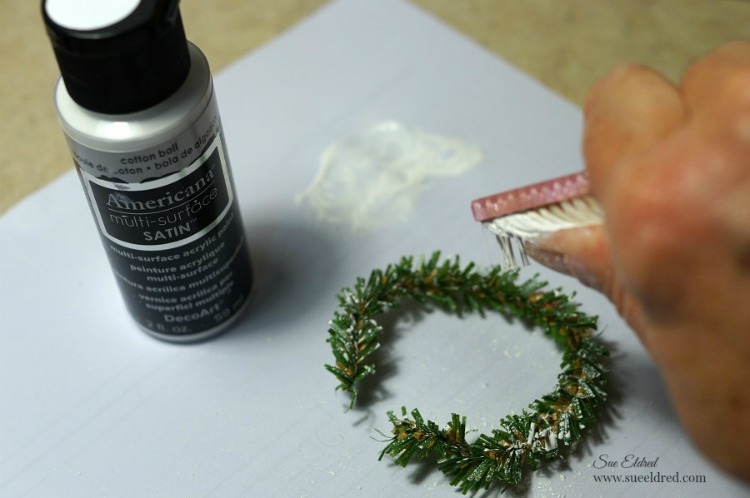 Allow glitter glue to fully dry on the tree before continuing. 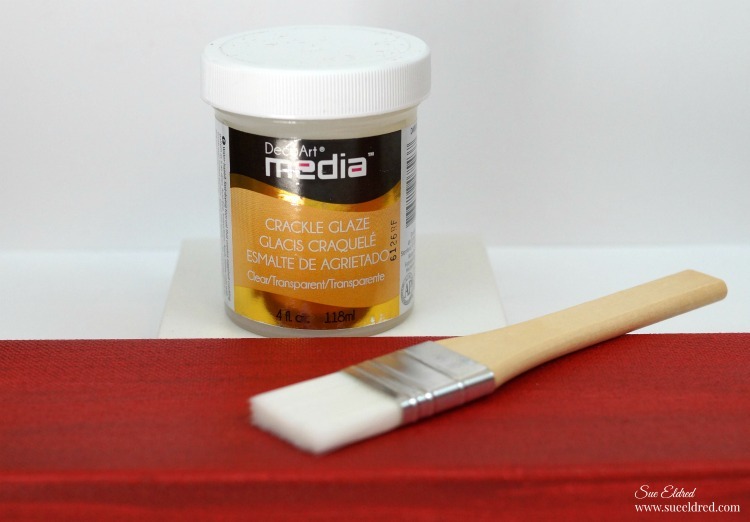 Apply a small bit of Quick Grip All Purpose Permanent Adhesive* on the end of the Q-tip. Insert Q-tip into bottle and add the glue to the bottom center of the bottle. 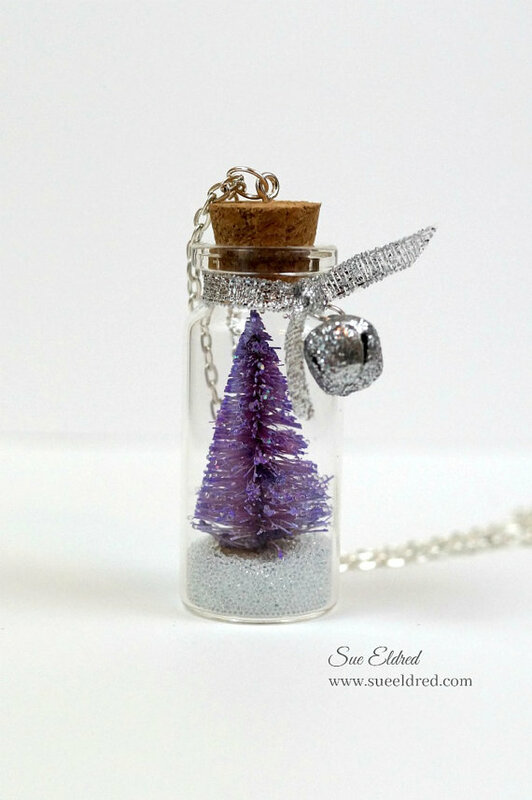 Insert tree into bottle and stick onto the glue. 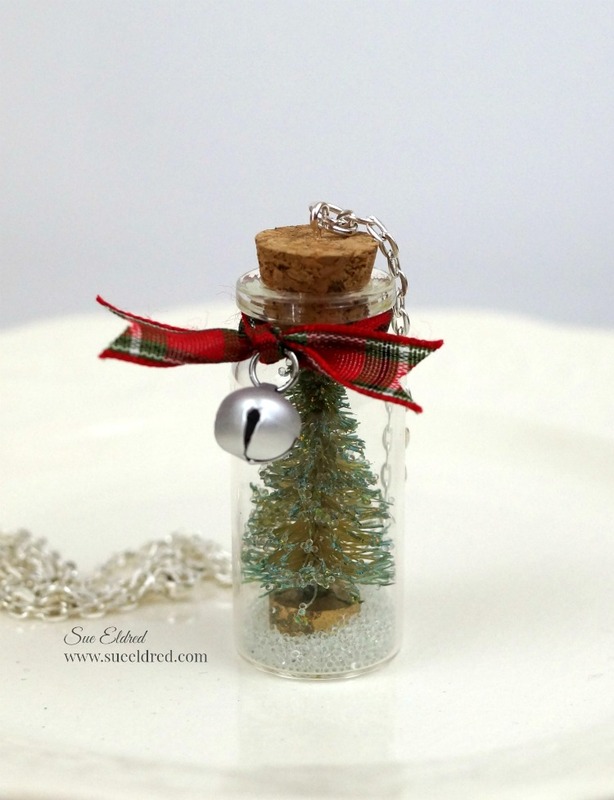 Pour glitter or micro beads into bottle. 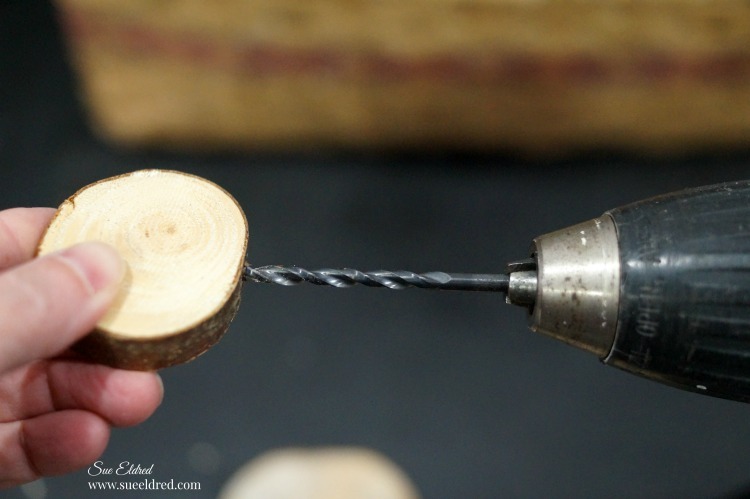 Screw loop screw into top of the cork and add necklace. I added glue around the side of the cork before putting it back into the bottle. 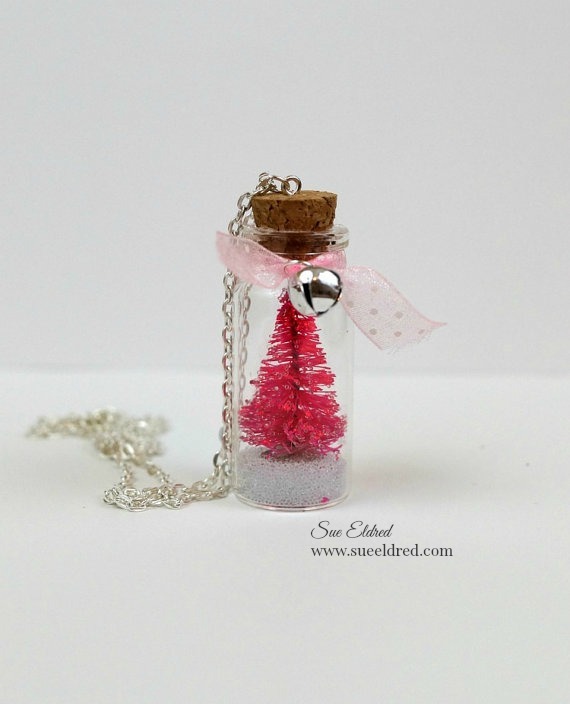 If you’re feeling a little funky…how about making your tree pink or purple? This may not be a beginner card for some, but, I promise it really is not hard. but you can easily adapt the card with supplies you have on hand. Cut a piece of cream cardstock 7 1/2″ x 5″. 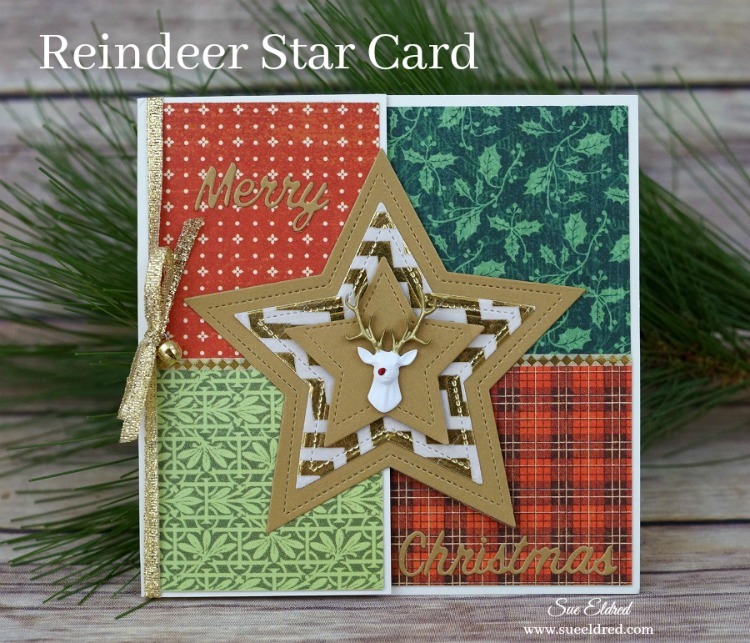 Score and fold on the 2 1/2″ mark to create a 5″ x 5″ card base with flap. Cut a piece of red patterned paper 2 1/4″ x 4 3/4″ and adhere to the front of the flap. 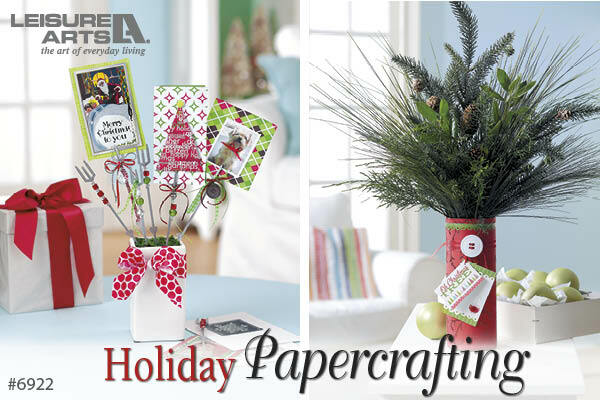 Cut a 2 1/4″ x 2 1/4″ piece of light green patterned paper and adhere onto the bottom of the red patterned paper. Repeat for the inside flap. Cut a piece of dark green patterned paper 4 3/4″ x 4 3/4″. Adhere to the inside of the card. 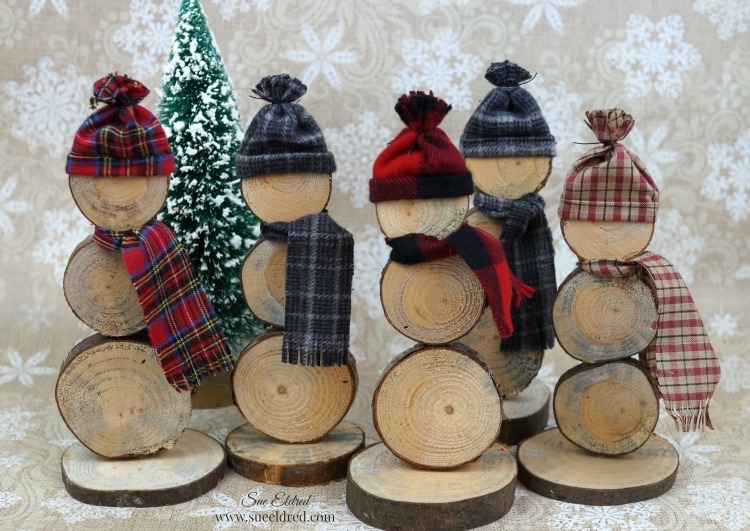 Cut a piece of red plaid paper 2 1/4″ x 4 3/4″ and adhere onto the bottom of the dark green patterned paper. 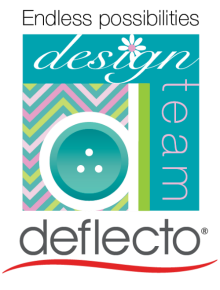 Add a strip of thin washi tape to the seam of the patterned papers. 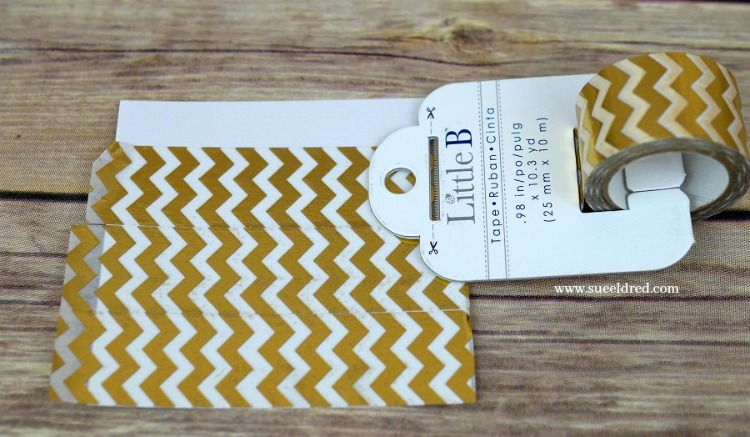 Apply White and Gold Foil washi tape to a piece of white cardstock. 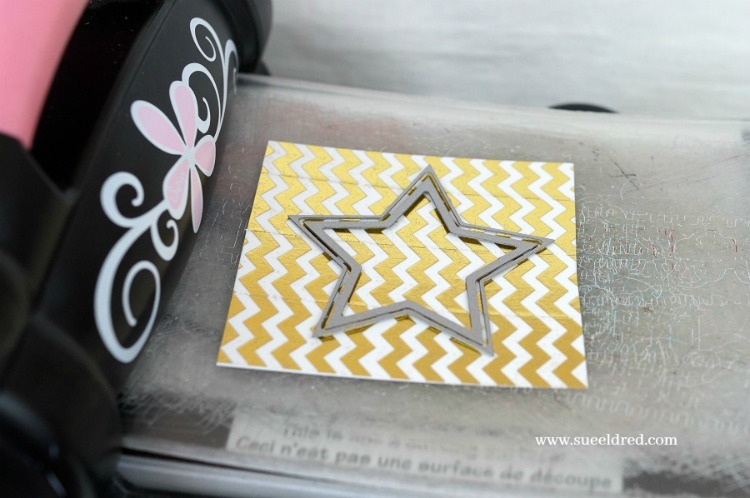 Cut two medium washi tape stars using the star die and Big Shot Cutting/Embossing Machine*. 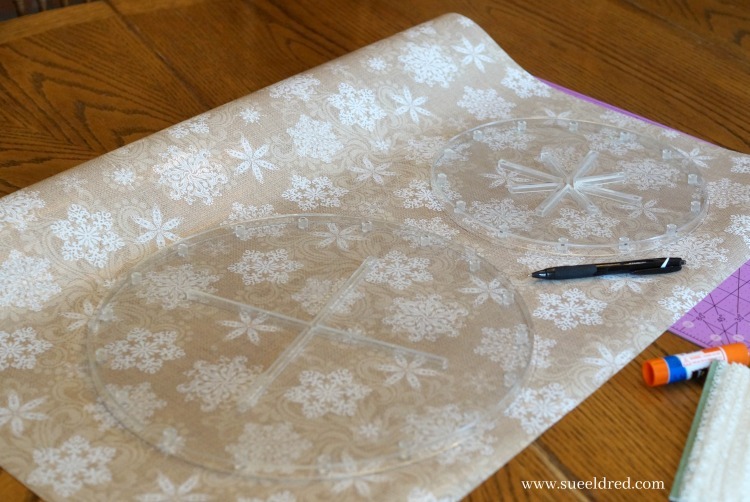 Cut two larger stars from the gold metallic cardstock. Adhere the first star halfway onto the flap (with the other half hanging over) Adhere second star directly onto the back of the first star. Adhere medium washi tape stars onto the middle of the large gold stars. Cut one small gold cardstock and mount it to the middle of the front washi tape star with thin 3D foam mounting squares. 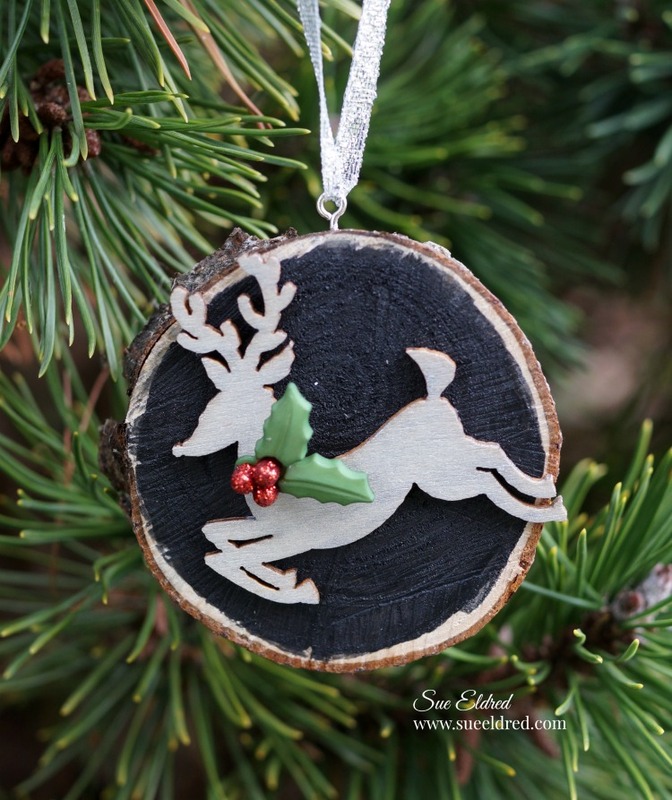 Add small “white stag” dimensional sticker to center of the smallest star. 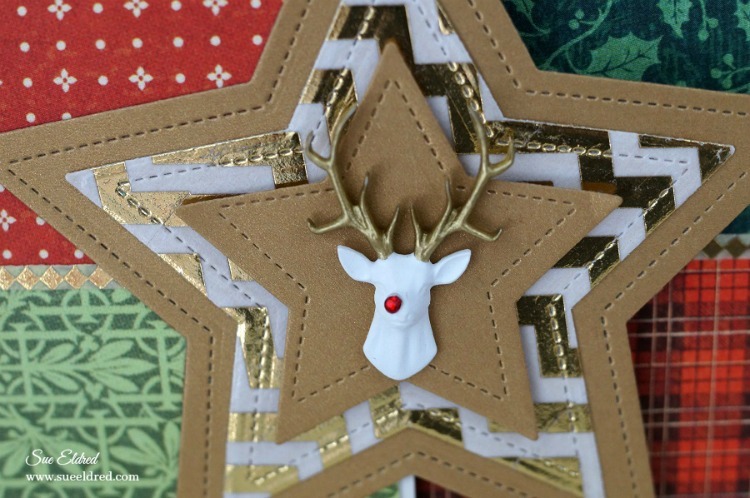 Add a small red adhesive rhinestone to the tip of the stags nose. Adhere a piece of gold cardstock onto the Stick It Adhesive Sheets*. 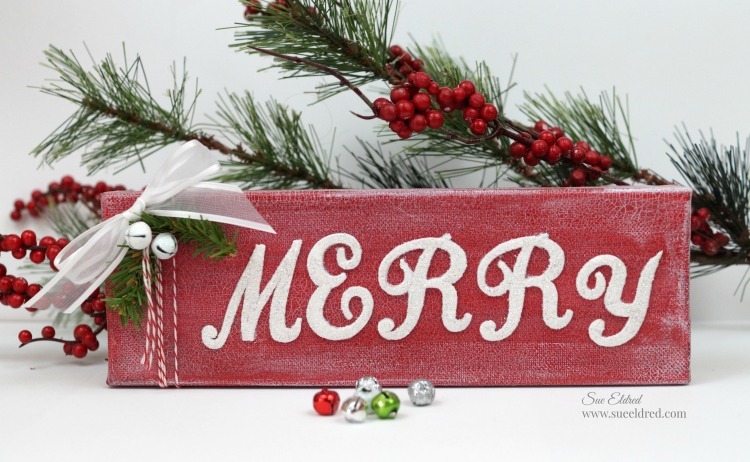 Die cut the words “Merry Christmas” using the Christmas Phrases die and stick onto card. 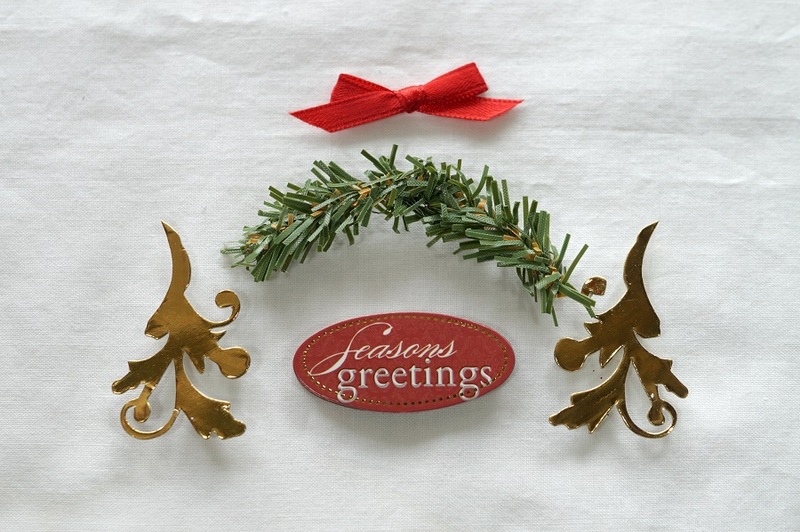 Tie a thin gold ribbon around the flap with a small gold jingle bells and you’re done. This project was sponsored by Little B LLC. I am an Amazon Affiliate. If you choose to purchase from Amazon using one of the above links, I will get a small commission that helps offset the costs of running this blog. Thank You! Although I don’t always send a ton of handmade Christmas cards out, I do enjoy making them. 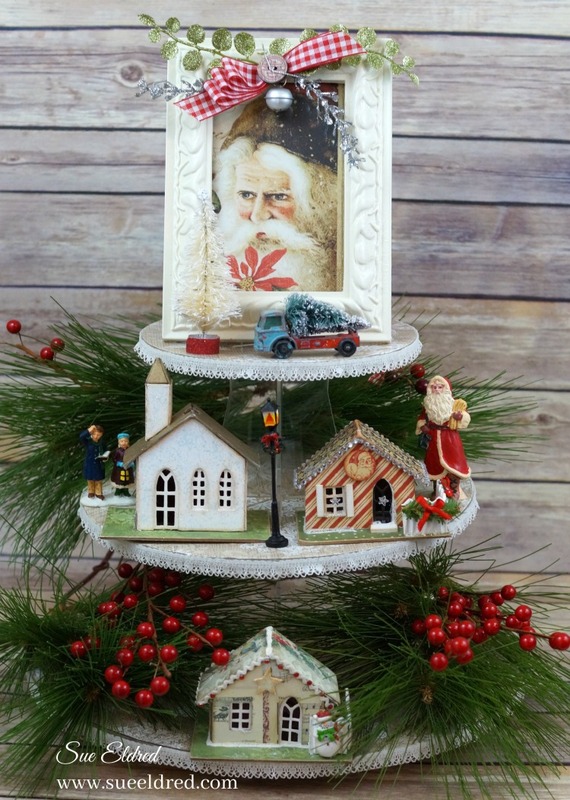 The Christmas Tree card was made using paper and stickers from Paper House Productions. Cut a 4 1/2″ x 6″ piece of “red flannel” paper. Hold the edge of the paper against the nib of the gold calligraphy marker to add a thin gold border on the edge of the paper. Adhere the red flannel layer onto a 4 3/4″ x 6 1/4″ piece of black cardstock. Adhere the red flannel and black layers onto a 5″ x 6 1/2″ green card base. 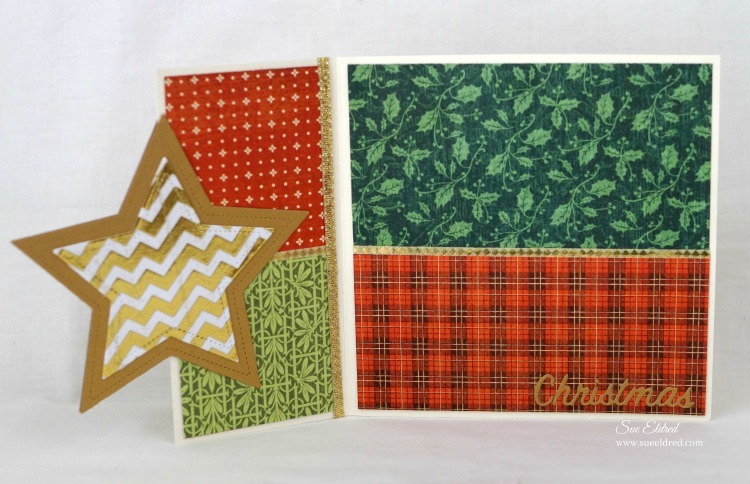 Cut the “deck the halls” paper (green plaid) using the “labels twenty two” die. Add a thin gold border around the edge of the label like in step #1. 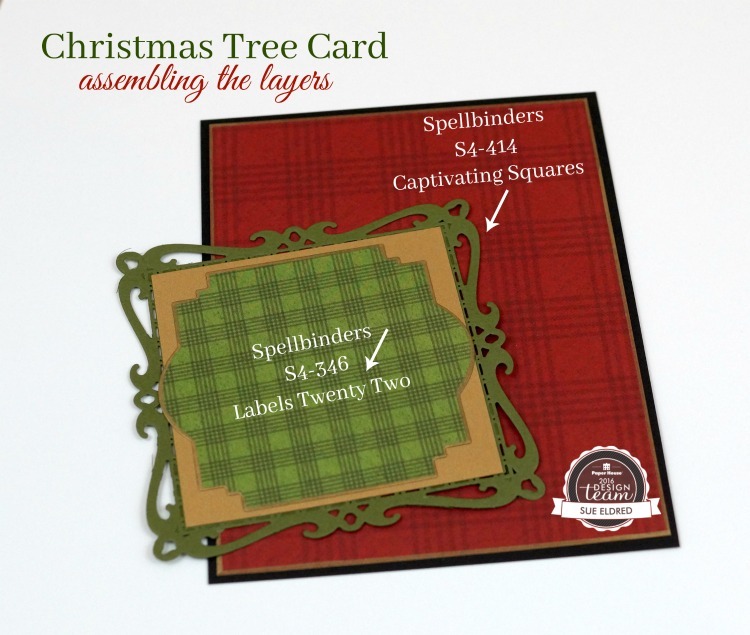 Adhere the green plaid label onto a 3 1/4″ x 3 1/4″ gold metallic cardstock layer. 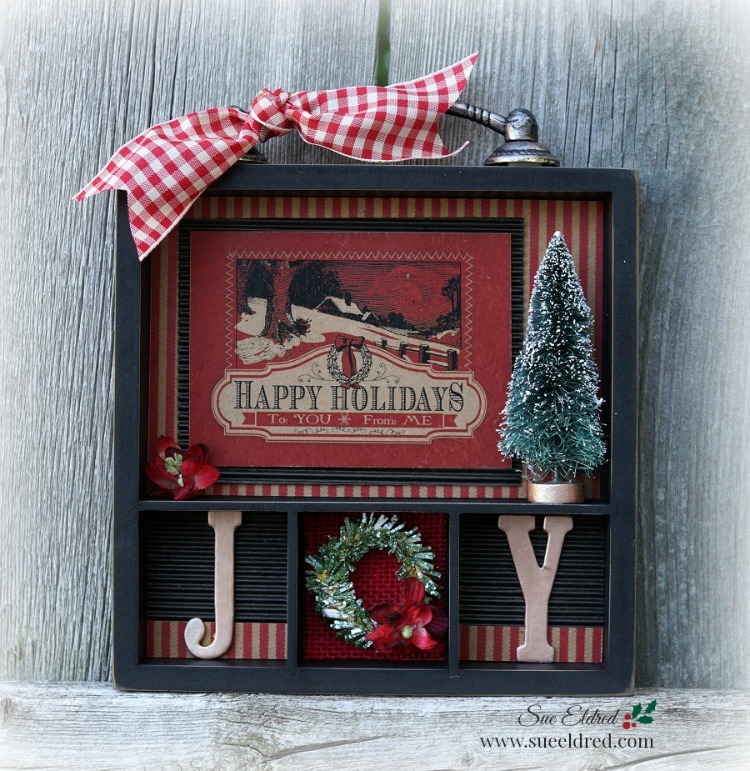 Cut a decorative square using the “captivating square” die and a piece of green cardstock. Adhere the green plaid label and gold metallic square onto the top of the decorative square. Adhere the green and gold layers onto the bottom portion on the red flannel layer, leaving even spacing on the bottom three sides. 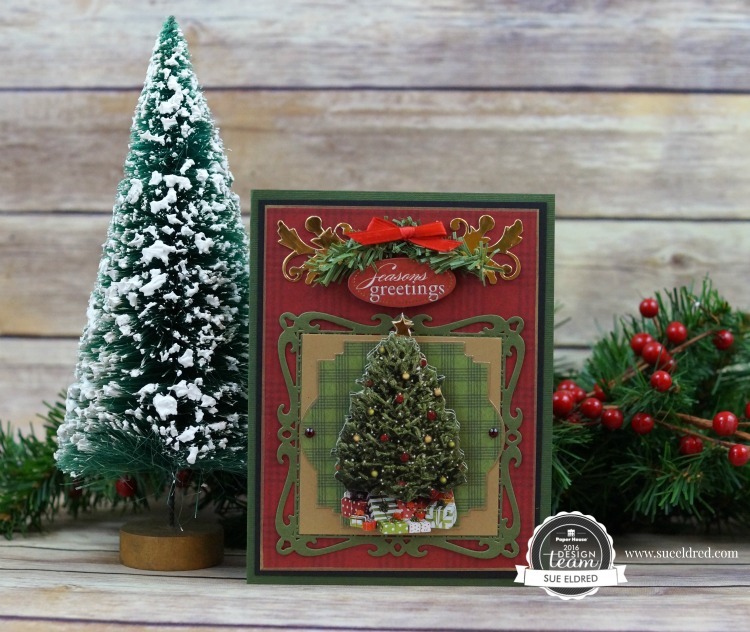 Finish embellishing the front of the card with the 3D Christmas Tree sticker and a couple of red adhesive rhinestones. This card was created for and sponsored by Paper House Productions. *I am an Amazon Affiliate. 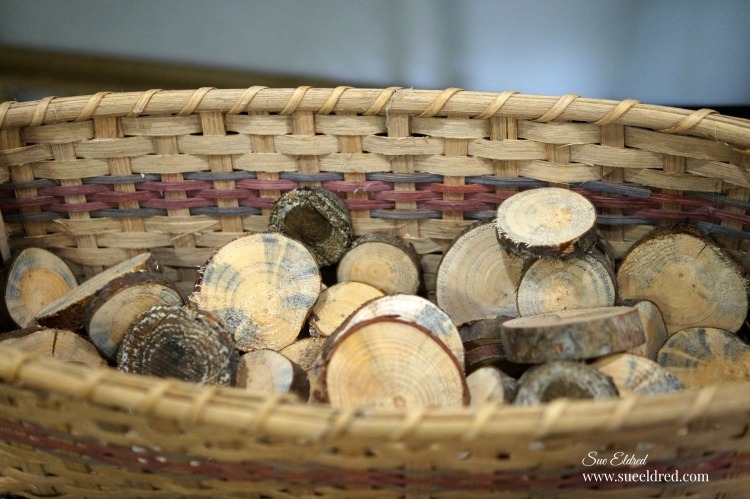 If you choose to make a purchase from Amazon using these links, I receive a small commission that helps offset the cost of running this blog. Thank You! 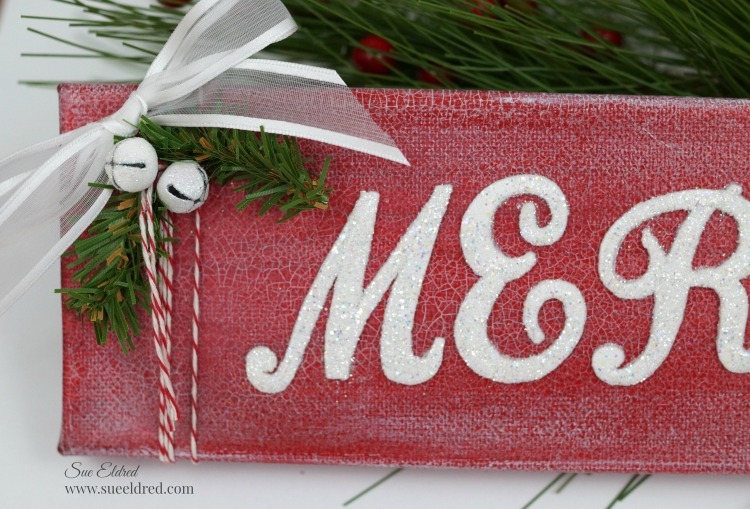 Make the holidays “Merry” with this mini decorated canvas. 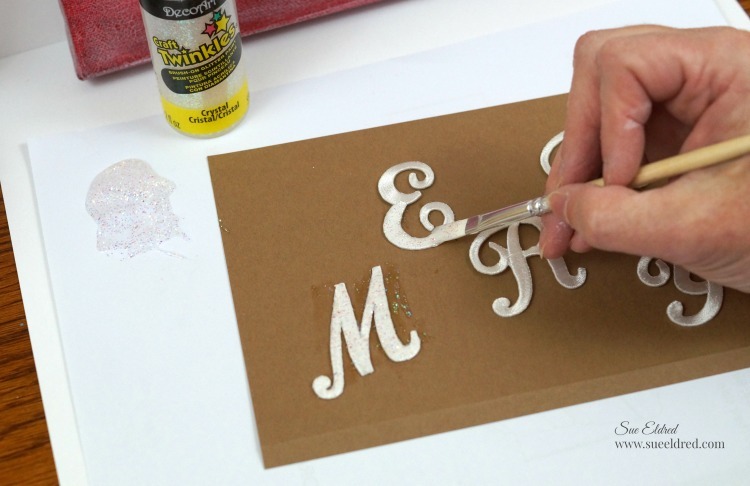 Create frosty, glittery goodness with this fun mini canvas project. 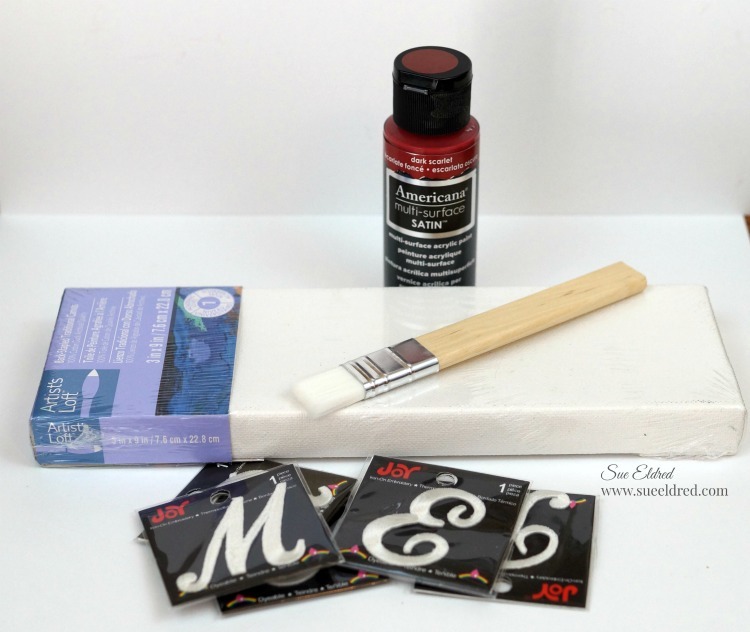 Paint the canvas with Red Scarlet Paint and let dry. 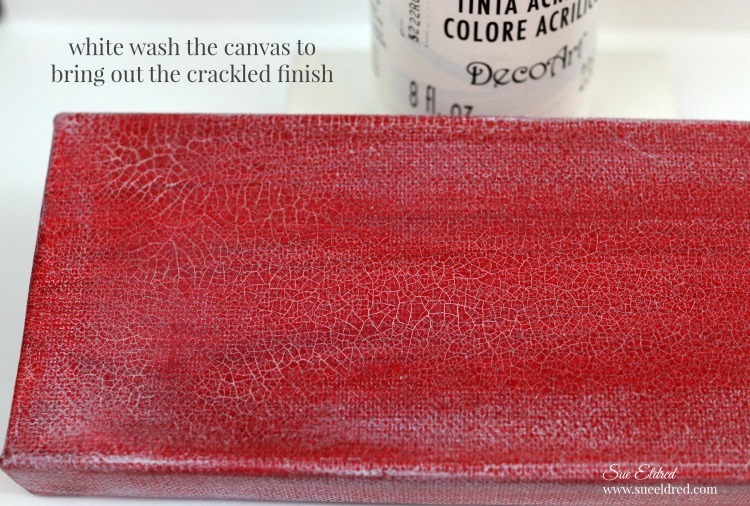 Paint the red canvas with a thick coat of crackle glaze. The thicker the coat the deeper the cracks. Allow plenty of time for the glaze to dry. Lightly white wash the canvas to bring out the crackling. 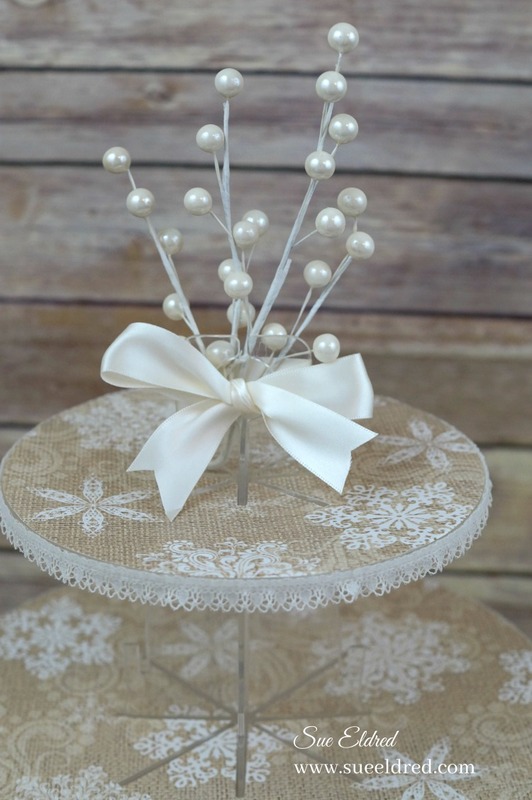 Wrap twine around canvas and embellish with jingle bells, greenery and bow. 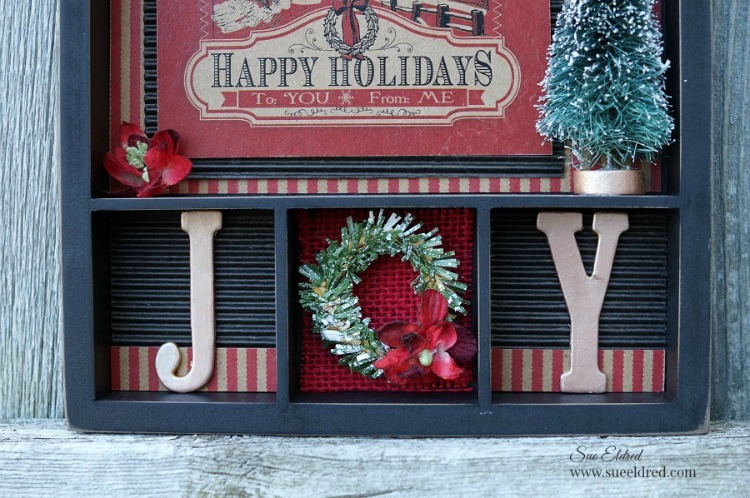 ***This project was created for and sponsored by Joy SA and Deco Arts. This post includes Amazon Affiliate Links. 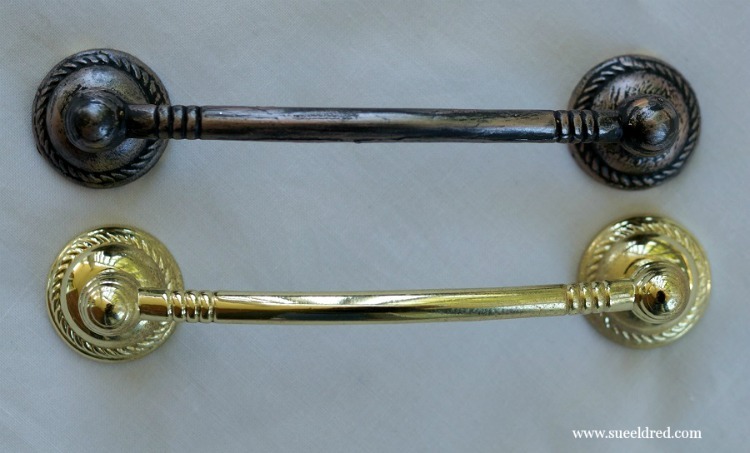 If you choose to make a purchase from Amazon using one of these links, I receive a small commission that helps offset the cost of running this blog. around my house, it’s starting to kick in full steam. Instead of stressing out, I try to create items with more than one purpose. 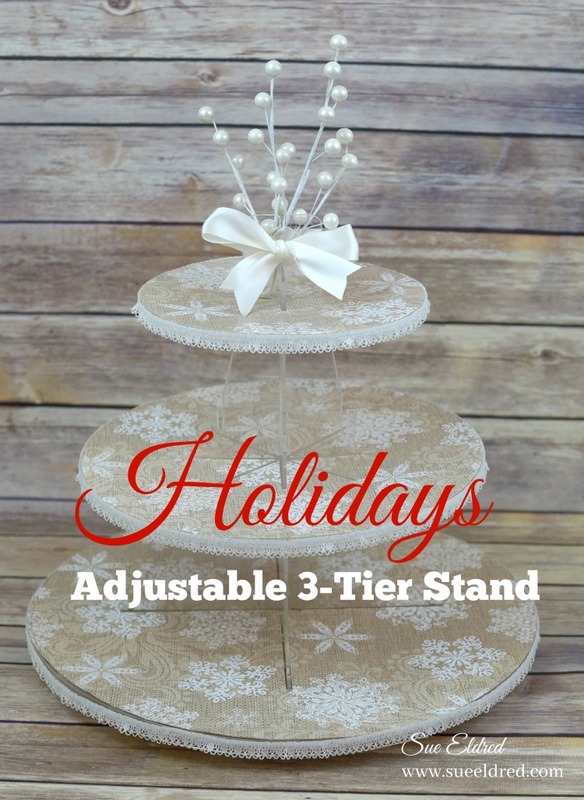 My Holiday Centerpiece also works wonderful as a Party Serving Stand. 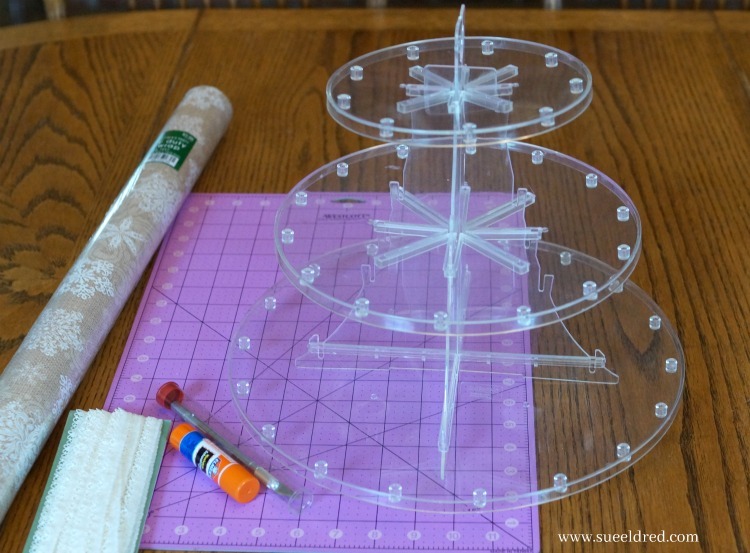 wrapping paper, glue stick and cutting mat. I traced around all three of my circles onto the back of the wrapping paper. 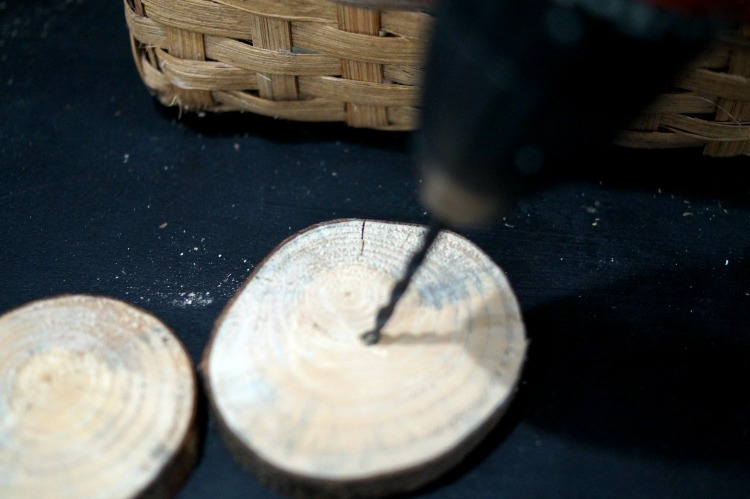 Trim around circle and inside channels using a craft knife and cutting mat. 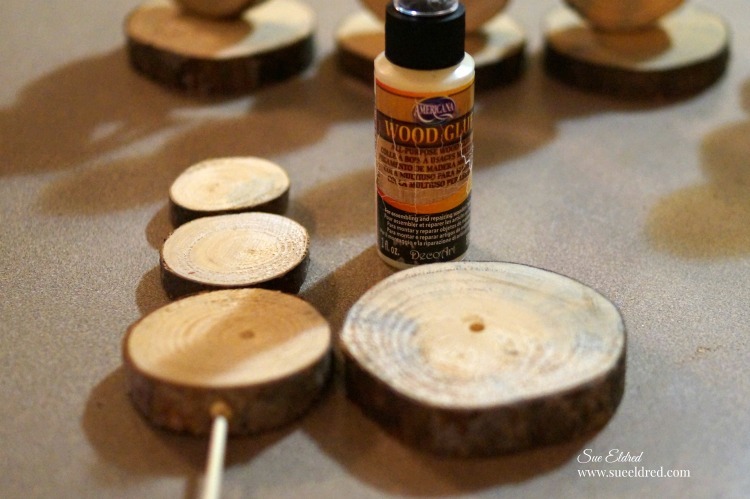 Glue lace around the outside of each circle and assemble stand. 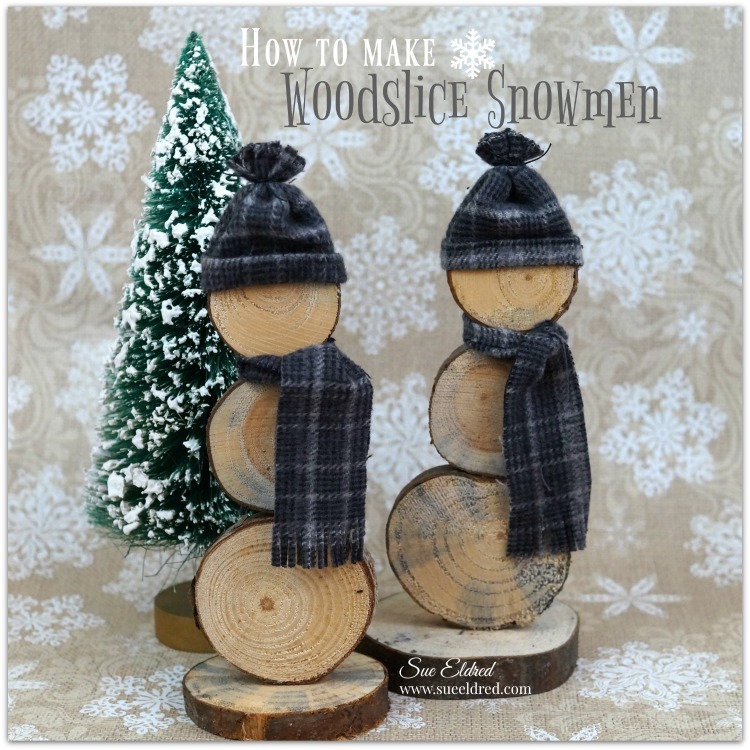 Add ribbon and holly berries and you’re ready for a party. 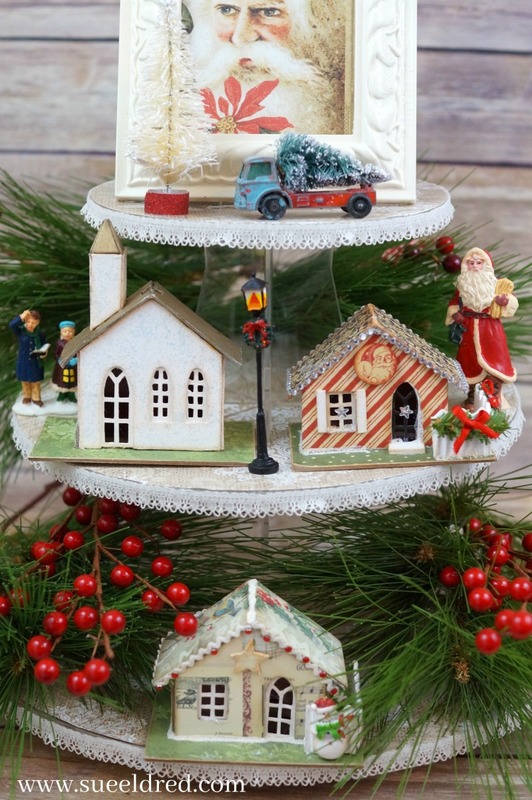 Or add small ornaments and decorations for a fun Holiday Centerpiece.